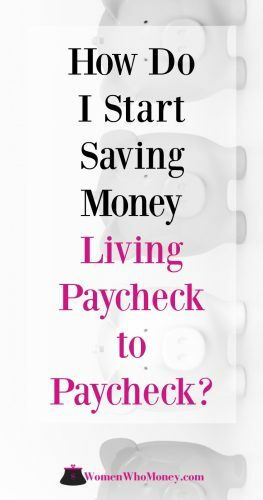 Home » Save Money » How Do I Start Saving Money Living Paycheck to Paycheck? How Do I Start Saving Money Living Paycheck to Paycheck? Do you ever feel defeated when it comes to saving money? You want to save, but find yourself waiting for the next payday so you can cover monthly expenses. Are you tired of living paycheck to paycheck? According to a survey from CareerBuilder, 8 out of 10 American workers say they live paycheck to paycheck. That means a constant cycle for most, of never getting ahead with savings. When you do start to save some money and see progress with your savings, the car needs new tires. What if you had enough money in savings to buy new tires, and still have enough left to cover other expenses that pop up? Having money saved up for emergencies means less stress, less worry, and more peace of mind. It means having enough money to survive and thrive past Friday and ending the paycheck to paycheck cycle! It creates major stress because the debt continues to grow while savings do not. No longer living paycheck to paycheck is possible for nearly everyone. Yes, you too! 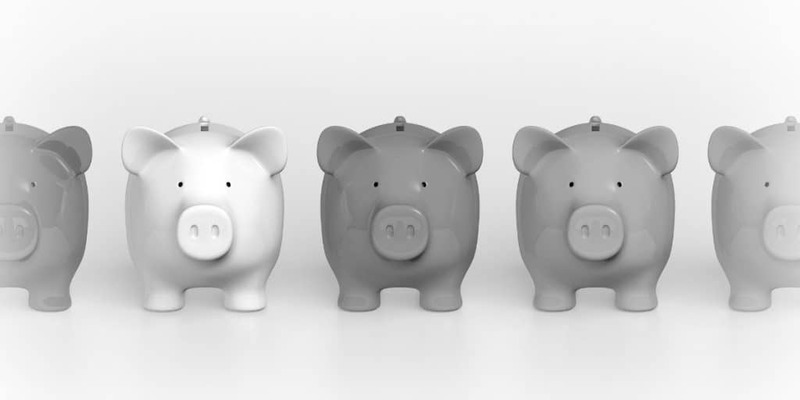 Below are six changes you can make to take control of your finances and save more money. A few small changes in your financial habits can make huge impacts on your savings. Most get caught up in the cycle of living paycheck to paycheck because of not paying attention to where our money is going… and then it’s gone! Sometimes you may even take on more debt (like credit cards) just to manage the monthly expenses. To stop the cycle of paycheck to paycheck and figure out where your money is going, your best bet is to track expenses. For one month, make a list of where you spend your money and how much you spend. This can be as simple as just keeping a list on a piece of paper. You could also put all of the bills and receipts in one place until the end of the month and then make your list. It’s amazing how much you learn about your spending habits once you start tracking expenses. This step is key to start on the path to saving money when you live paycheck to paycheck. Once you see where your money is going, you will start finding ways to keep more of it by creating a budget. A budget does not limit your spending, it just guides it. You will begin to see what items can be cut or reduced, such as eating out. You can take a look at your bills and see if you can change to a smaller cable package or cell phone plan. A budget puts you in control of your finances. It lets you determine how much is coming in and decide where it’s going out. Then a budget gives every dollar a place and a purpose, starting with your savings. Usually, savings come from what’s left over (if anything) at the end of each month. This needs to be just the opposite. Before you pay the first bill, pay yourself first. Even if it’s a small amount at first. Make a savings deposit before paying everyone else. When the focus is on savings and you prioritize saving, it improves over time and becomes a habit. These small savings add up over time and grow into healthy savings started by paying yourself first. When it comes to your initial savings goal, set a short-term one, such as $100. You could possibly achieve that goal in a few weeks and gain some momentum! You will need to set aside a fixed amount each week to achieve your goal. Where will you find this money? By tracking your expenses! You’ll find areas where you can spend less and save instead. You could make a simple money savings goal thermometer for motivation, or create a vision board. At the least, writing down your savings goal and putting it in a place where you will see it every day is a great strategy to help reach your goal. If you tell yourself it can’t be done, then you feel defeated before even trying to save more money. Your money mindset is critical to stop living paycheck to paycheck and meeting your savings goals. Whatever we think finds a way of turning into our actions. When you think positive thoughts about saving money, that will turn into taking steps in the right direction. Change is hard but these kind of changes are going to impact more than your finances. Having savings to help in case of an emergency helps reduce stress. Having savings that continue to grow as you set and achieve new goals creates peace of mind. Automation is a powerful tool that can transform your finances by growing your savings on autopilot. Most employers, as well as banks or credit unions, offer options when it comes to setting up a direct deposit to automate your savings. Take advantage of these options to save money, save time, and set your savings on autopilot. This is one of the best ways to watch your savings grow and scale. First, for your emergency fund and next for several month’s worth of living expenses. Setting up automation for bills also helps your savings by avoiding late fees. Credit cards depend on our mistakes to make money and automating reduces that risk of mistake. These changes will help break the cycle of living paycheck to paycheck and, instead, give you more control over your finances. We’d love to hear about changes you’ve made to save more money in the comments! Misty, the creator of Simple Organized Lifestyle. She’s a mom on a mission to simplify & organize home and finances. Misty’s a big fan of faith, coffee, camping, dogs, books, & bargains!